A Divisional Headquarters was formed on 14 August 1942 on a Basic Organization No V, which changed in January 1943 to Basic Organization No VII. It served in the UK under Northern Command. In April 1943 the division was reorganized and the composition changed. The role of the division was now to carry out the development of all specialized armour, and technique, and for advising on its use. It now served under GHQ Home Forces (27.4.1943-22.5.1944) pending the invasion of Europe, upon which it was designated to 21 Army Group (23.5.1944-31.8.1945). 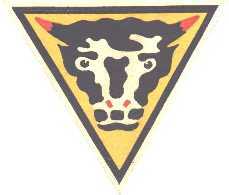 From 12 August 1944 onwards the division actually served in NW Europe. The story of 79th Armoured Division, October 1942-June 1945 ([Germany : 79th Armoured Division, 1945]) 314 p.
David Fletcher. Vanguard of victory : the 79th Armoured Division (London : Her Majesty's Stationery Office, 1984) 86 p.
Patrick Delaforce. Churchill's secret weapons : the story of Hobart's Funnies (London : Robert Hale, 1998) 256 p.